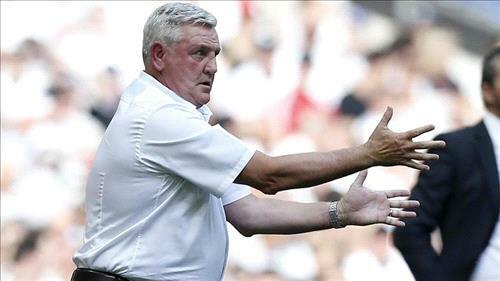 AMMONNEWS - Aston Villa have terminated the contract of manager Steve Bruce following a dismal start to the season, the English Championship club said on Wednesday. Villa have three victories in 11 games and are 12th in the table. They were held to a 3-3 draw at home by Preston North End on Tuesday. One fan hurled a cabbage at the 57-year-old Bruce before the game, in anger at the team's recent run of one victory in their last 10 games in all competitions. "We would like to place on record our gratitude to Steve and his team for their hard work and commitment. We wish them well for the future," Villa said in a statement. "The process of recruiting a new manager has begun. In the meantime, Kevin MacDonald, Aston Villa under-23 manager, will be in charge of the team for our trip to Millwall on Saturday." Former Manchester United defender Bruce, who has also managed Sunderland, Hull City and Wigan Athletic among other clubs, took over at Villa after they sacked Italian Roberto di Matteo in 2016. Bruce's assistants Colin Calderwood, Steve Agnew, Stephen Clemence and Gary Walsh have also left their posts. Former English and European champions Villa were relegated from the Premier League in 2016. They lost 1-0 to Fulham in the Championship playoff final last season to miss out on promotion to the top flight.